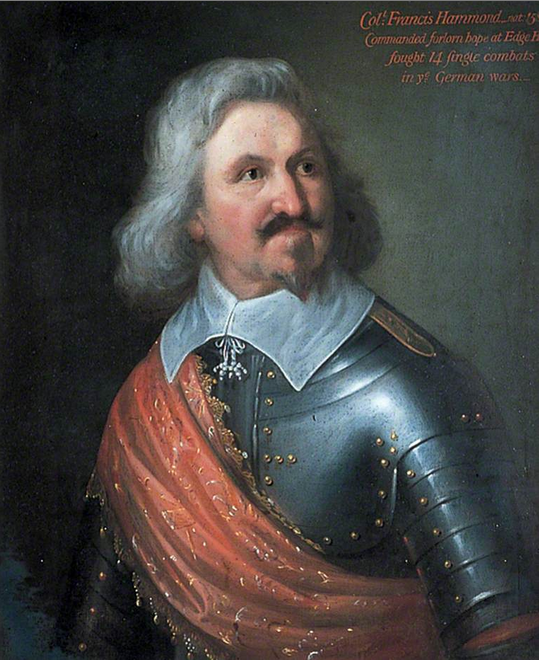 Painted by an unknown artist, Francis Hammond was a career soldier who had fought on the Continent and even though he was getting on, in the Civil War, noteably leading the royalist Forlorn Hope at Edgehill in 1642. We have already seen his brother, Robert Hammond who was involved in the Kentish Uprising. He’s clad in what looks like full armour with gilt rivets, though often this was something that was reserved for portraits rather than something you’d wear on the field. His scarf is nicely embroidered and fringed and his falling band, though plain has very fine hems and a nicely knotted bandstring tassel. 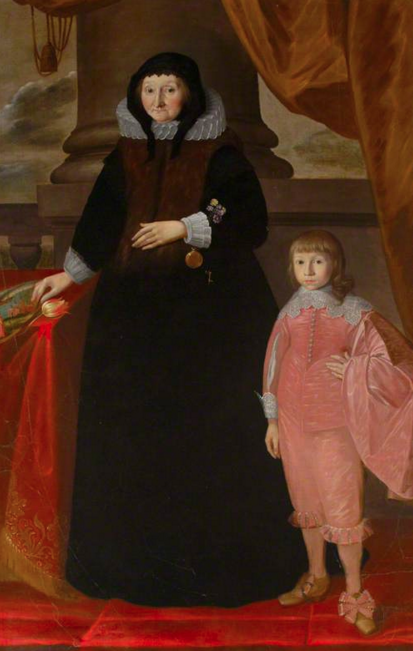 The portrait is part of the Canterbury Museums Collection. 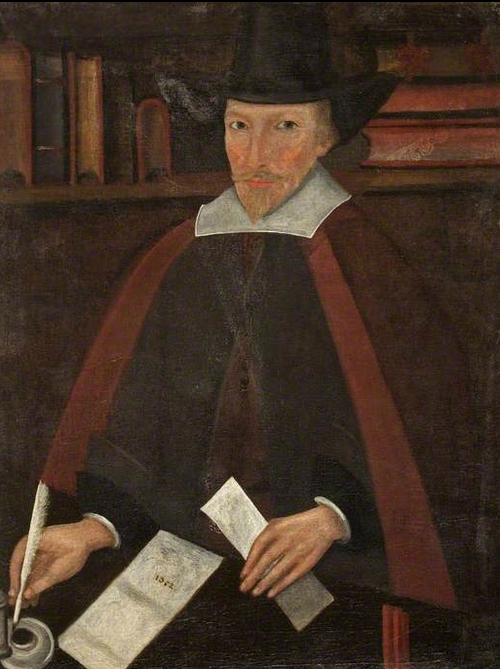 Painted by a follower of Gilbert Jackson in 1634. 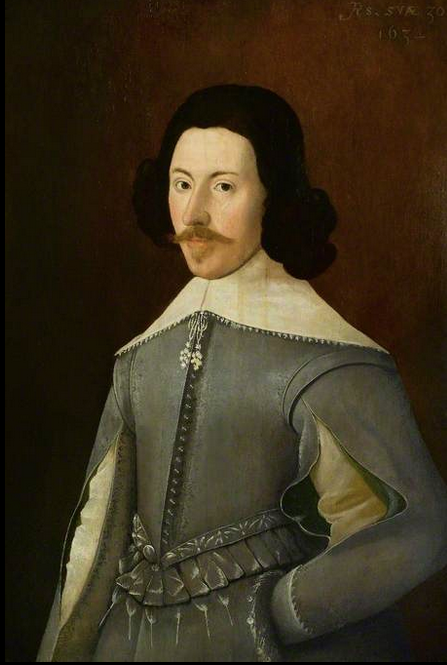 This unnamed dapper gentleman of 30 is looking at us with a real ‘devil may care’ gaze, with his hand securely in the pocket of his breeches, an unusual stance in a painting from this date. He is wearing a neatly tailored grey doublet. If the painter’s depiction is accurate, this is a well made garment with sharp lines and very neat seams. The sleeve seams are open to display his shirt and ribbon points around his waist presumably hold his breeches up, though at this point, cord points were becoming decorative. 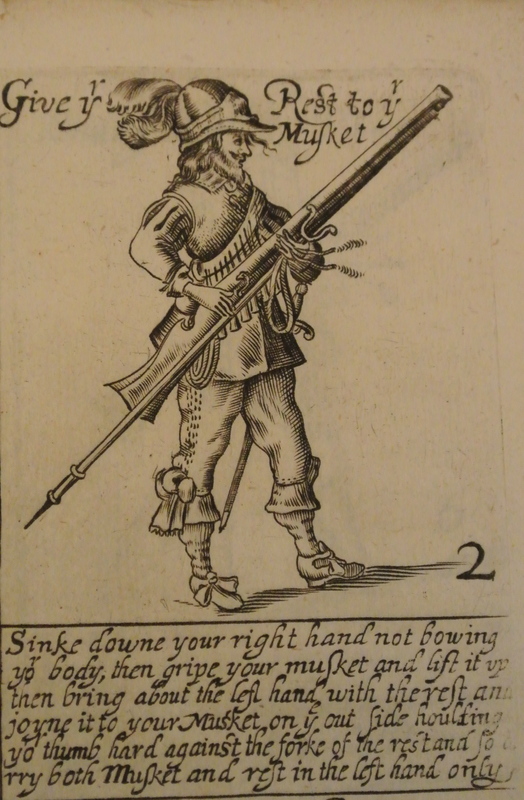 The attachment to the breeches was more often than not achieved with metal hooks and eyes with the eyes being sewn to a girdle-stead fixed inside the doublet. He’s also wearing a plain-ish wide falling band with a narrow lace decoration (with matching cuffs) and pom pom decoration on his bandstrings. Nice row of closely spaced buttons down the front. 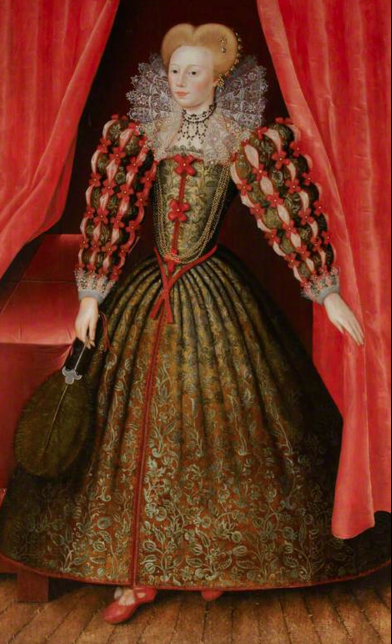 The picture is in the Chequers Collection. 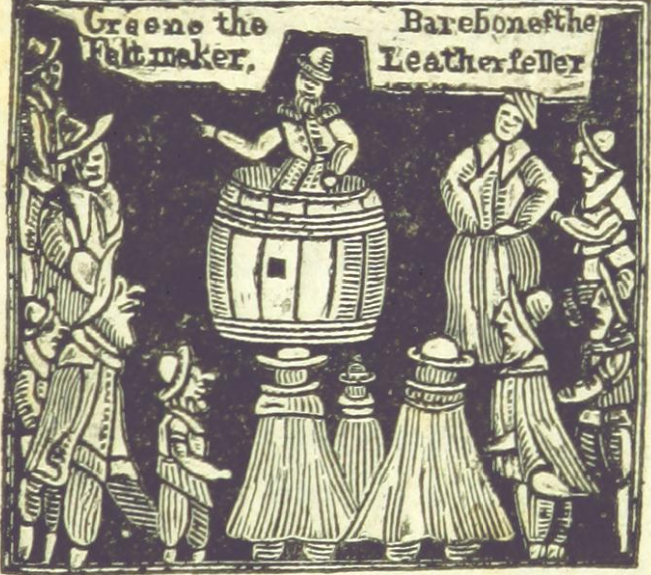 Here the splendidly named Praisegod Barebone (though not as splendid as his brother who went by the almost unbelievable name of ‘If Christ Had Not Died, Thou Hads’t Been Damned’, known to his friends for short as ‘Damned Barebone’) is expounding the word from his tub to an assembled group of London citizens. 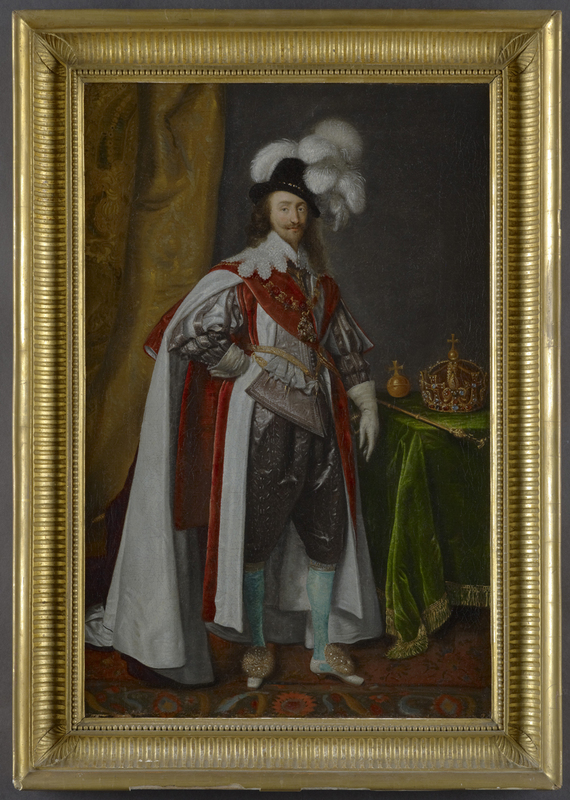 He’s wearing doublet and breeches with a neat little hat. The ‘congregation’ are mostly smartly dressed in doublet and cloak whilst a goodwife at the top has petticoat and waistcoat with a kerchief over the top. 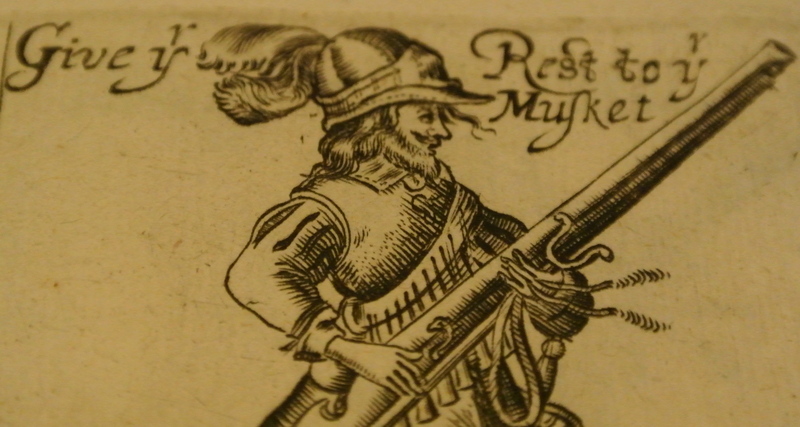 Praisegod, as well as being a leather seller as we can see was active in politics after the war, being returned in 1653 to the nominated assembly that replaced the Rump Parliament. Barebones was also heavily involved in the turmoil surrounding the return of the monarchy. He was against it!